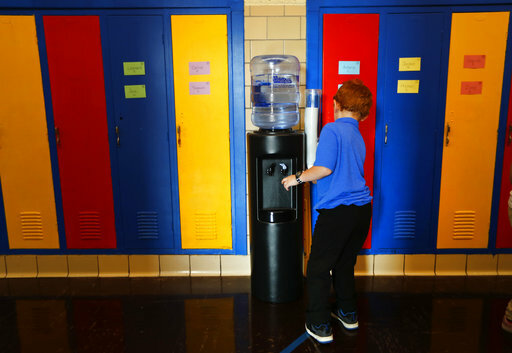 DETROIT (AP) — Thousands of Detroit public schools students were told Tuesday to drink from district-supplied water coolers or bottled water on the first day of classes, after the drinking fountains were shut off because of contaminants in some water fixtures. 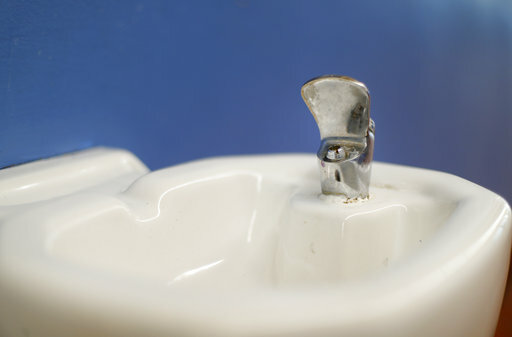 Superintendent Nikolai Vitti said last week that elevated levels of lead or copper were found in fixtures at 34 schools. Test results are pending for other schools. 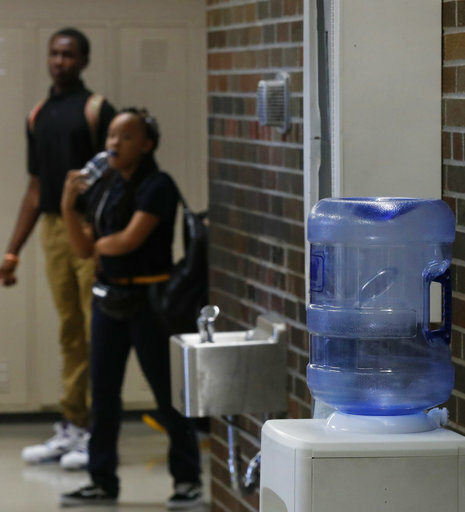 The discovery of contaminated water in Detroit's schools follows a lead-tainted water crisis in Flint, Michigan. In 2014 and 2015, Flint didn't properly treat corrosive water that was pulled from the Flint River. As a result, lead in old pipes contaminated the water going into homes and businesses, and it streamed from household taps as a brown and smelly fluid. 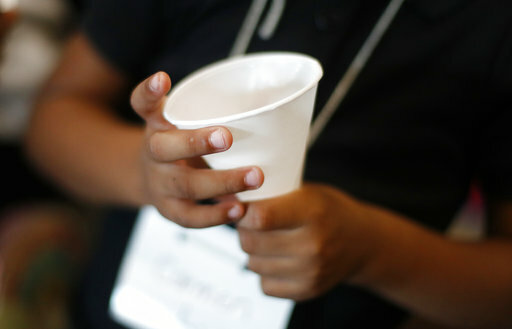 Some children in the city were subsequently found to have elevated levels of lead in their blood, which can lead to developmental delays and other health problems. 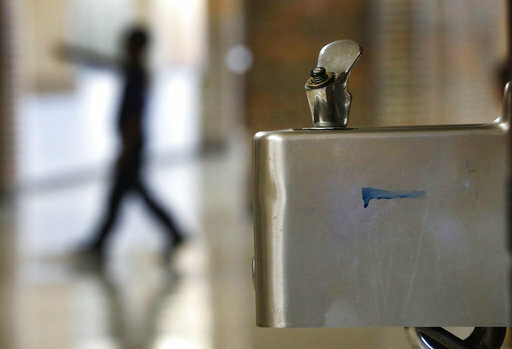 Eager to not undergo the same health and financial fallout as Flint, officials decided no students at Detroit's 106 public schools should be subjected to drinking mains water until a solution can be found and the water declared safe. 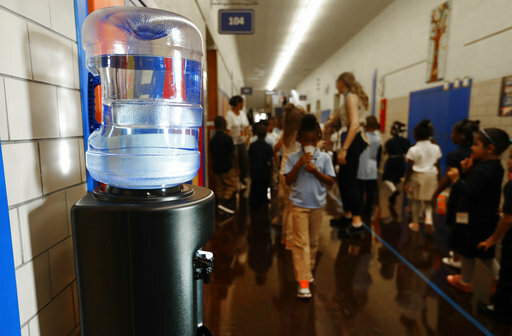 School officials believe old fixtures, not the water source, may be to blame. 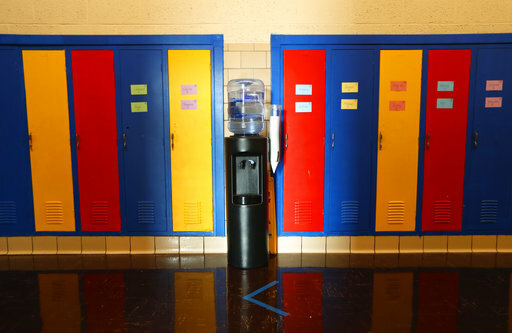 "We're still providing water that we believe is safer, and, ultimately, we actually believe students will drink more water than they did previously," Vitti said Tuesday at Gardner Elementary on Detroit's west side. "But this is about teaching and learning, not a conversation about water. It's an injustice that children and parents have to think about quality water, but we did the overall testing to be transparent and be proactive." "I can sleep better at night and actually look in the mirror knowing that we did the right thing," he added. Vitti said the cost of the coolers and bottled water will be $200,000 over two months. He's looking at developing a long-term plan for new central water stations at every school with independent piping systems, Vitti said. But as parent Quala (KWAY'-luh) Bennett dropped two children off at Gardner Elementary Tuesday, she wondered why the district only recently began testing its water. "I don't understand why it's still a problem. 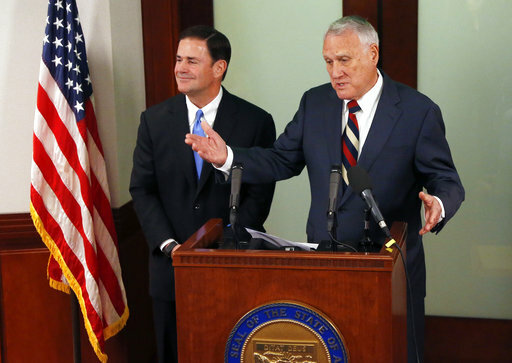 I don't understand why now they're checking the school system," Bennett said. "They should have done that once the whole Flint thing happened." 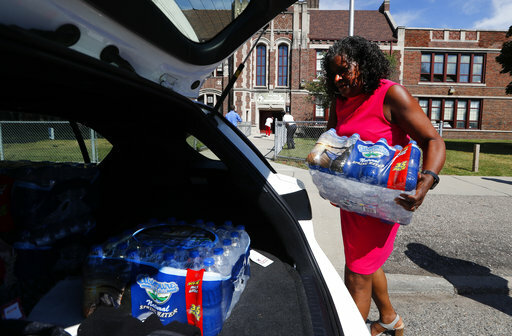 Detroit Schools should not have waited until the start of the school year to alert parents about the water issues, said Rhonda Walton, whose grandson is a kindergartner at Gardner. "That's something that should have been ongoing over the summer," Walton said. "They knew that we had to be at school by today. And those issues should have been corrected by today." Walton also said she reminds her grandson not to drink the water. "We're not touching that water if we don't have to," she said. 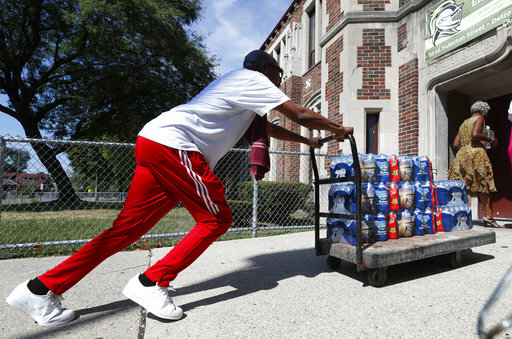 Ken Coleman, a spokesman for the Detroit Federation of Teachers, said the union would deliver bottled water and hand sanitizers to Noble Elementary-Middle School on Detroit's west side Tuesday afternoon, and that more would be distributed to other schools later. The American Federation of Teachers is providing the water and hand sanitizers. 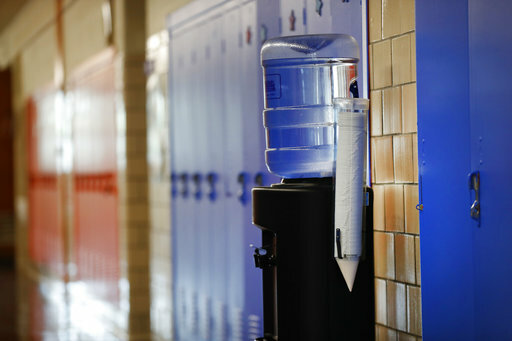 Local teachers' union leaders are expected to meet Tuesday afternoon with the American Federation of Teachers to discuss how to address the safe water issue. "We see this as an effort to augment what already is being provided by the district," Coleman said. "It's our opportunity to help make the school setting a better learning environment for our students." 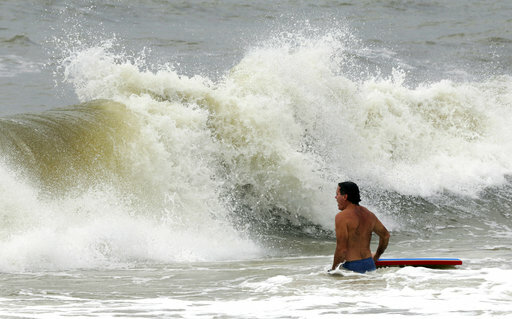 Associated Press writer Corey Williams contributed to this story.